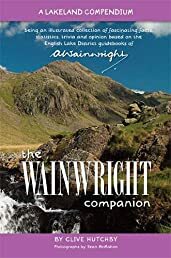 The Wainwright Companion is a fully illustrated collection of fascinating facts, statistics, trivia and opinion based on A Wainwright's legendary guidebooks to the English Lake District. Which fell has most waterfalls? The longest ridges? The roughest ascent? The best views? The wettest path? The only ascent description that starts with a descent? And what did AW ever do for the Romans? All these questions and hundreds more are answered in this 'book about the books' - the seven Pictorial Guides to the Lakeland Fells and their companion, The Outlying Fells of Lakeland.